Make your website shine with .diamonds! There are three things you need to pay attention to when choosing diamonds—shape, color, and clarity. When creating a website, there are also three basic factors to consider—functionality, design, and the most suitable domain name. 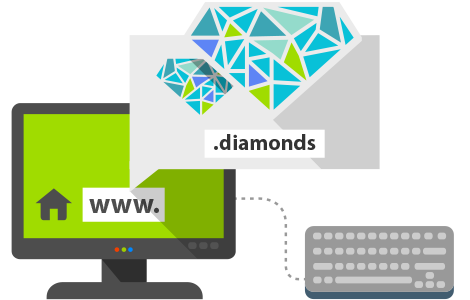 For the first time ever, you can make your site shine with the .diamonds domain. If your business is related to jewelry and diamonds, or if your site offers information to diamond admirers, or if the name of your business contains the word "diamonds," don't miss the chance to make your website dazzling with the new .diamonds domain.